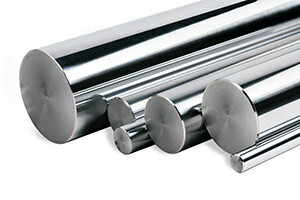 Our selection of steel non vented pull pins are manufactured from 1144 carbon steel. Thanks to heat-treating, these products are ideally used in non-air relief applications. These steel pull pins are fitted with internal threading, which provides the distinct advantage of reusability. ASME B18.8.2 material specification and Rockwell hardness of C47, they possess double shear breaking strength. In most cases, pull pins hold their ground, but there are certain special situations—involving moving parts and excessive vibration—when the pin can fall out of place and allows slight to movement occur. Falling out of place is a major problem that can disrupt your project’s precision. Apart from supplying standard specification pull pins, we can create custom pins based on your application requirements. 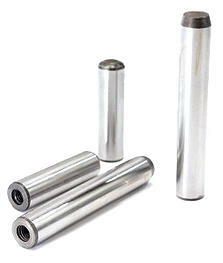 Contact us to let us know what you need and our seasoned team will manufacture a highly precise custom pull pin. In the Suburban Industries Catalog, you will find stainless steel vented pull pins for any application needs. Our expert representatives are standing by to answer any questions you may have.